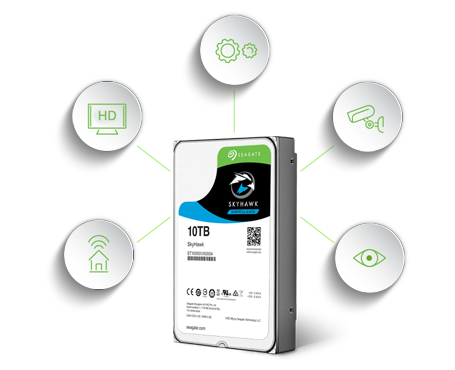 Optimised for DVRs and NVRs, SkyHawk™ surveillance drives are tuned for 24×7 workloads in capacities up to 10 TB. 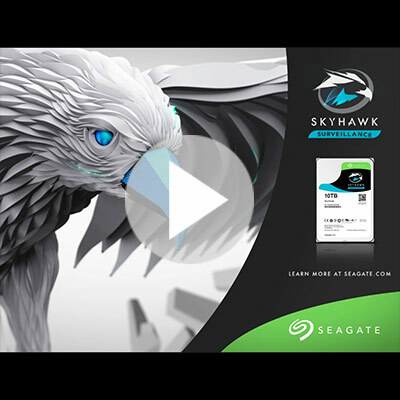 Equipped with enhanced ImagePerfect™ firmware, SkyHawk helps to minimise dropped frames and downtime with a workload rating 3x that of a desktop drive and IS ready to record up to 90% of the time while supporting up to 64 HD cameras. 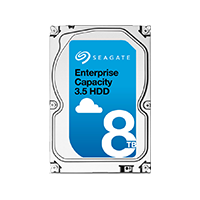 Use the Video Storage Selector to find the best hard drive. For more information, refer to the Surveillance Drive Selection Guide or Surveillance System Application Guide. How many drives are used in your video system? Surveillance DVRs typically support 1-2 drives, NVRs support 2-8 drives and Cloud Server Systems, 10 or more. Give yourself the ultimate peace of mind with SkyHawk surveillance drives and never miss a frame, even in harsh environments. 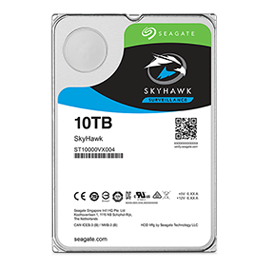 SkyHawk’s extreme workload rating, low power consumption and NVR ready design can improve long-term drive reliability. SkyHawk can also reliably perform in operating temperatures — from 0°C to 70°C — while tarnish-resistant components offer further protection out in the field.